HEAR THE VOICES. FEEL THE PASSION. Find an outlet for your passion. Music is multi-faceted. It’s not just the players, singers, and conductor that you see onstage. Every performance is built upon the work of dedicated staff and volunteers. From communications, to organizational work, to fundraising, there is always a way for volunteers to contribute to the growth and vitality of EMC. Get involved today! Call 847.214.7225 or email info@elginmasterchorale.org. We are always looking for qualified candidates to serve on the Elgin Master Chorale Board of Directors, especially from outside our organization. You can make a difference by providing your professional expertise to our highly dedicated Board. We have a number of very active committees in our organization, from fundraising and marketing to singer services and governance. You can make a difference by helping our organization run more efficiently. We have an active internship program with area colleges and universities. If you are a college student, you can make a difference and gain valuable work experience in the process! For more information, call 847.214.7225 or email info@elginmasterchorale.org. 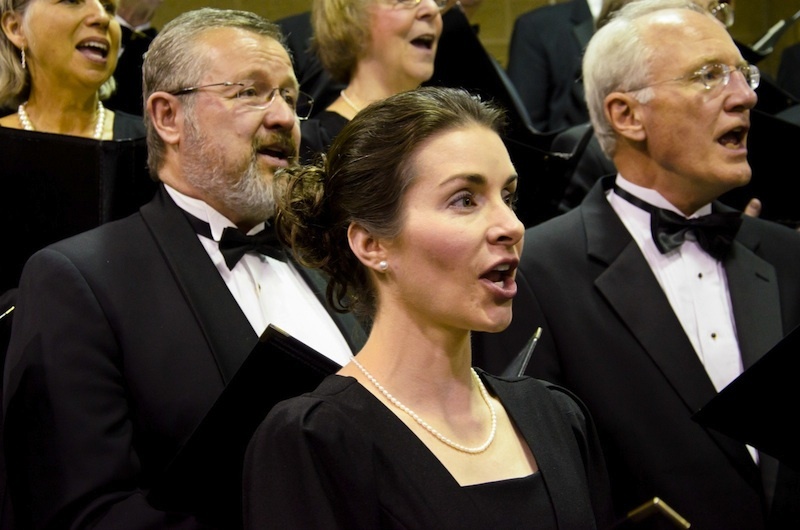 Monday - Thursday: Noon - 7 p.m.
Friday - Saturday: Noon - 5 p.m.
Keep up on all happenings and events with the Elgin Master Chorale.